Monday, April 14, 2014 at 6:30 p.m. in every county in Wisconsin, the 80th annual election of two of five delegates per county will be held. That night is the only time you can vote on this question, but it does require legislation. Please network to make the questionnaire available to all citizens. Children of any age can vote on the issues. This is all citizens’ only opportunity to elect representatives in our sole advisory legislated to craft policy presented to the legislature for the use of our parks, all public lands, wildlife, mining, climate change, endangered species and quality of life. Since hunters and the DNR have privatized this election to hunters and hidden its importance for a stunning 80 years, all of the questions are power grabs by hunters against the rights of the rest of the public. Wisconsin Wildlife Ethic ( www.wiwildlifeethic.org ) is looking for two candidates in every county to stand up for citizens who enjoy silent sports and their right to participate in governing our commons. Through controlling this one night a year, hunters now have all of our public land, including state parks, prioritized to killing our wildlife. Now they want legal access to your private property without that pesky problem of asking permission. This overrides a property owner’s right to say no. If question 48 passes April 14, it will be presented to the legislature as the public will. The hunters propose to enter unarmed. (Like that is going to happen.) Evidently they will have their own valets or “caddies” to guard their weapons. Obviously they will not leave them on the road at the edge of your property. Or their trucks will line the edge of your property as they enter any part without asking. Their dogs are trained to be vicious. 1. You find a hunter wandering your property alone. He tells you , “I thought my dogs came in here.“ It turns out he wounded an animal that lives in your woods and wanted to finish him or her off. No dogs involved, but you will not know that, and he can use it as his excuse. 2. Hunters send dogs into your property in hot pursuit of an animal they have been running for miles. The hunters follow the dogs into your property and kill whatever animal they are pursuing and (blam) a squirrel, (blam) a coyote, (blam) any wildlife in their path Mob and pack mentality rule. Adrenaline highs are compelling. 3. You are gone on vacation, or working, and hunters enter your property following dogs and kill out your woods, at their leisure. 4. You are sleeping and hear dogs on your property and are terrified of confronting armed men and dogs. And they have rights on your property. 5. You are enjoying a quiet afternoon on your back patio with your cat and new puppy. The dogs run through, chase the cat who escapes up a tree, threaten you, kill your new puppy and attack your chickens, livestock, grandchildren before the hunters appear to add another dimension of chaos and threat. They have the right to be there and you have no right to stop them. Running dogs on wildlife to kill them is vicious. This is only pursued by people who enjoy cruelty. Some hunters particularly savor tormenting people who want to protect their wildlife. They set up their killing stands directly on the boundaries of posted private property. Woe to you if your neighbor really wants to terrorize you. There is an old saying: “What goes around comes around”. Wisconsin citizens have not cared enough about their wildlife to find and use this election to create mutual peace and justice. For 80 years hunters have ruled. Now they are moving on private lands. When they run out of species to target, will it be a season on “anti’s” (anti- hunters) they often joke about? Anti’s indeed may become an overpopulated species. I might be wrong, but in regard to Question 48 up for vote at the WCC 2014, I believe that Minnesota and Michigan allow bear hunting but not with the use of dogs. I was told that Illinois and Iowa don’t have any bear hunting, so dogs are mostly used to retrieve birds. The suggested idea that those four surrounding states draw a parallel to Wisconsin seems erroneous since retrieving a pack of dogs chasing bear, as allowed in Wisconsin, presents an entirely different scenario than the use of dogs in the other states. 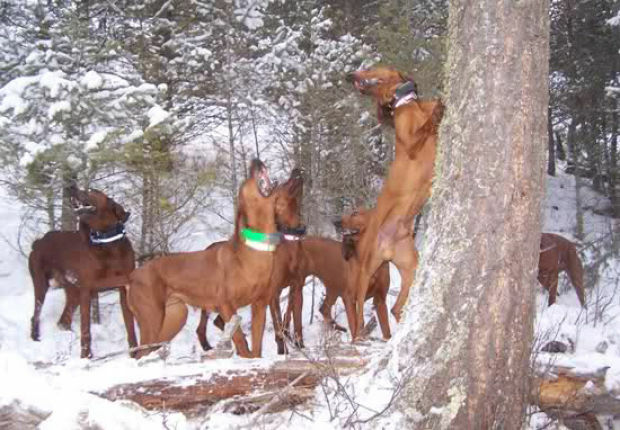 Resolution 710213, to increase the fine for trespassing hunters using dogs, passed at the WCCLC in 2013. It failed in the last round at the WCCEC because, well, it’s impossible to win against bear hunter’s that pay their lobbyist $20,000 a year. The author of Resolution 710213 stated that the bear hunter expo in held in Madison gave out $10,000, the free use of a truck for a year and other high priced prizes from their raffle. Most of the winners were from out of state, yet another money trail, no surprise. The author of Resolution 710213 presented his proposal three years in a row. His first draft used the word “bear” in it. He was advised to remove the word bear. That pretty much says it all. Michigan does allow the use of dogs for bear hunting but not for wolves. Minnesota has acceptations to the rules for hunter trespassing. Hunter’s can’t trespass on posted land, tilled land or land with crops. Illinois has legislation in progress to protect bears and wolves.